Vietnam’s first-ever private orchestra, Sun Symphony Orchestra, will perform classics by Mozart and Tchaikovsky at a special concert held at the Hanoi Opera House on October 26. In particular, the concert will feature the performance of Russian violinist Sergei Dogadin. Returning to the stage of the Hanoi Opera House one month after the "Voices of Autumn" concert, music Director Olivier Fabier Chanine, violinist Sergei Dogadin and the orchestra will give the audience wonderful melodies by talented composers Mozart and Tchaikovsky. The concert will open with the opera Don Giovanni by Wolfgang Amadeus Mozart, which was performed for the first time in Prague on October 29, 1787. Russian violinist Sergei Dogadin has won accolades in ten international competitions, including second prize (with no first prize awarded) at the Tchaikovsky International Competition in 2011, first prize at the Joseph Joachim International Violin Competition in Hanover in 2015, second prize at the first Shanghai Isaac Stern Violin Competition in 2016, and first prize at the Singapore International Violin Competition in 2018. 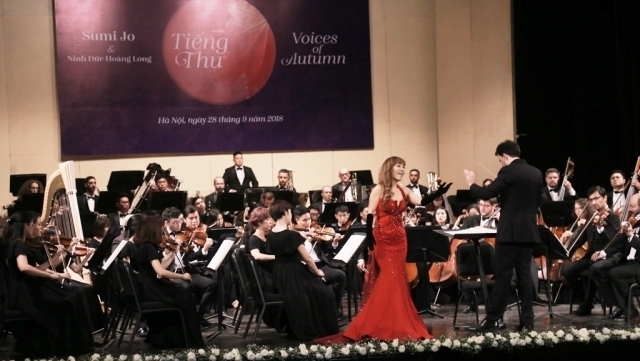 The Sun Symphony Orchestra, Vietnam’s first private orchestra, expects to bring international musical talents to Vietnam and scholarly music closer to the public.